Let customers order directly from your Instagram posts when you’re powered by Ecwid. Reach 1 billion Instagram users longing for products like yours with Shoppable Instagram posts from Ecwid E-commerce. Set up your Instagram shop in minutes to sell everything from clothes to antique furniture. An Instagram shop meets your customers in the same space they connect with friends, news, and favorite brands. Every day, 300-million Instagram users visit an Instagram business page after seeing a post in their feed. Eighty percent of users follow at least one business on Instagram. And 60% have heard about a business or product through Instagram. Your Instagram store extends your digital footprint, creating new and engaging opportunities to promote your products. By enabling Shoppable Instagram posts, shoppers are free to move from inspiration to decision instantaneously. Your product catalog is synchronized with your Facebook and Instagram accounts automatically. 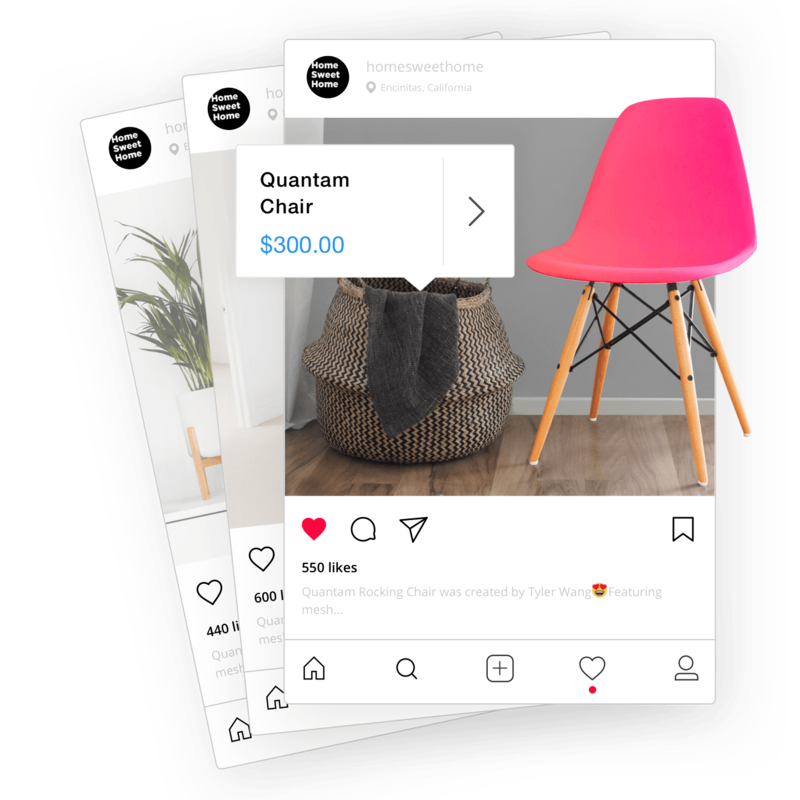 Then, when you tag products in your photos with shoppable pricing tags, Instagram users are enabled to view featured products, decide, and order right from their own Instagram accounts. 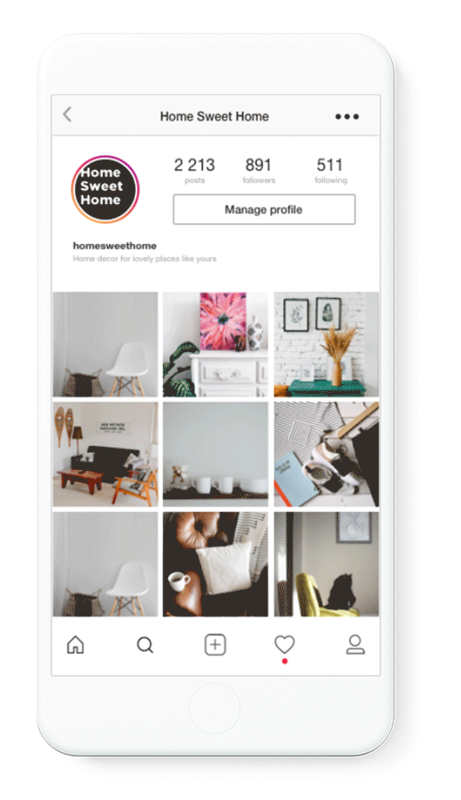 Whether your Instagram shop is a hobby, side-hustle, or full-time effort, Ecwid makes it easy to promote your products to engaged Instagram shoppers. Is it time to expand your customer outreach with an Instagram store? With Ecwid’s user-friendly platform, we make selling on Instagram easy. Complex and powerful technology is hidden behind simple forms and easy-to-follow instructions. Our state-of-the-art technology gives you advanced control over your Instagram store to turn your low-ROI social-sharing into true social-selling. Get started with Ecwid today, and discover just how easy it is to sell on Instagram with Instagram e-commerce.